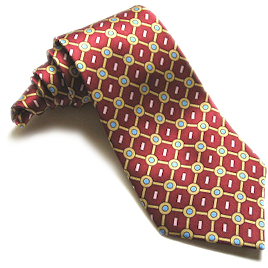 Based on Humphrey Bogart's tie in The Maltese Falcon, this maroon classic features a four-color scheme making this tie a perfect match for a wide variety of suits. 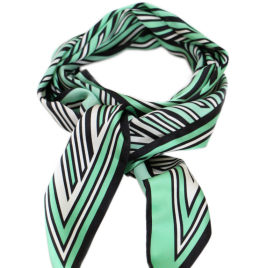 It's a beautiful tie, easily equal to neckwear at twice the price. 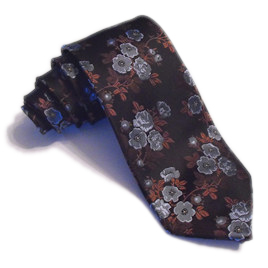 A distinguished and high quality tie. It looks and feels great, very distinctive. First tie with Magnoli and it's a beautiful one, I can feel the Sam Spade energy flowing. The colors stick out quite nicely without being obnoxious, as well do they fit well together. 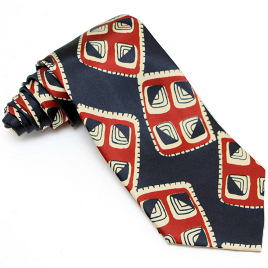 A beautifully made tie in a great vintage design. Great quality for the money. Excellent quality tie. The colours work well with a variety of suits, vintage style or new. 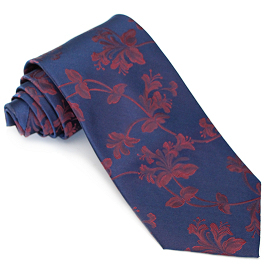 The silk is very soft and the tie shapes well. For that Bogart look I top it off with my vintage grey Stetson fedora. Can't be beat. 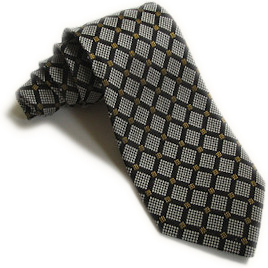 This is a great tie and the silk used has a very nice handle. 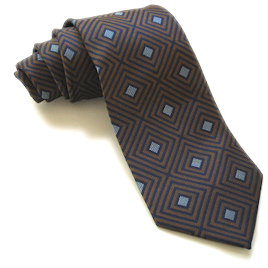 The same quality of any of Magnoli's ties. I like this one, because you know no one else has anything like it. Also it goes with so many shirts.